"After having heard good things, we sent our daughter (and later our son) to LCFC to give them the opportunity to socialise regularly with other young kids. What was delivered was far greater–this is an ideal place for young children to develop. The facility itself is well looked-after, and is chocked full of book stations, art and craft centres, safe playing areas, tactile playing tables, and more. But what really makes this place special is the staff. I'm unable to just name two or three of them, as honestly, there are just so many of them that regularly go above and beyond to ensure that the kids are getting the best possible experience. For example, after my daughter expressed an interest in gardening to one of the staff, the staff told my daughter to bring in her gardening tools (she has a small set at home) and they would plant flowers in front of the centre. Because of this, my daughter and I will be gardening together in the spring and next fall. I don't have a green thumb, but I'm excited to do this with her. Another example is when my son moved up from the toddler room to the junior preschool room, the staff from the toddler room gave us a book they had put together. It was full of pages and pages of hand-written anecdotes from his time spent in the room, pictures of him doing different activities, and artwork he'd done. My wife and I were floored. We spent a lot of our evening reading through it all and laughing, remembering many of the different stages he had gone through over that past year. I can't recommend LCFC enough. Sending our kids there was a wonderful decision." "LCFC has fostered an environment of lifelong learning for staff and continues to implement approaches/curriculum that are evidence informed. As a result, LCFC has played a role in my children’s learning, development, health and well-being. My children have developed strong relationships with both the educators and children at the centre and LCFC now truly feels like family. The educators are kind, patient, encouraging and supportive. The cook makes healthy, kid friendly meals and LCFC has gone above and beyond to ensure food safety for my child with allergies. LCFC is exceptional!! LCFC has been a second home to our girls for almost five years. We chose LCFC because not only did they fulfill our childcare wish list in so many ways, but the feeling when we first walked in and met the staff assured us that our children would be happy, safe and loved in their care. And as always, that gut feeling did not steer us wrong. The daily routine, home cooked meals and consistent staffing keep us as parents happy and reassured. And we know the crafts, games, imagination, outdoor adventures and swimming lessons are but a few of the things that keep our kids happy every day. We would highly recommend LCFC to anyone who is lucky enough to secure a sport. They have been such a valuable part of our girls’ childhood so far!" "My daughter has been attending LCFC for almost 4 years and we have been so lucky to have them in all of our lives. From day one, the staff has made us feel welcomed and informed about all the ins and outs that daycare entails! Most importantly, the educators and staff have embraced our daughter with open arms and have been major contributors to her development and growth into the sassy sweetheart she is today. We are eternally grateful for everything they do for us and thank our lucky stars to be a part of the LCFC family." "LCFC has been a second home to my 3 children for the past 8 years. Kandis and her staff have always been incredibly supportive and their understanding of the needs of today's family is greatly appreciated. In particular, the children have loved the summer programming and the home-cooked food and my husband and I have valued the consistency in staffing, which means a familiar face is there to greet your children each morning. I take it as a positive sign when your children are not in any rush to leave the center at the end of the day!" "I have been thrilled with the care that our children receive at LCFC. The staff and caretakers go over and above expectations to ensure that the children are safe, well-cared for and enjoy their time there. They obviously care a great deal for the children and it appears that for them, this is much more than a job. The environment is a calm, organized and stimulating one overall and the staff and caretakers feel more like extended family members as they play such a pivotal role in our children's lives. On a personal note, the LCFC has been wonderful in helping us to ensure our children's specific dietary needs are met, which can be very challenging. I really can't speak highly enough about the LCFC. 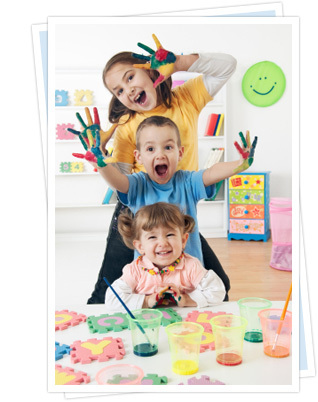 This is a wonderful daycare and I feel very lucky that my children are a part of its larger community." "Our boys have enjoyed the activities, the care and healthy menu at LCFC since before they were one year old. They adjust well to the routines, have made many friends and learned a lot from the caregivers at LCFC. These past 6 years have been a wonderful experience for our family, thank you!" "When our family contacted the Laurentian Child and Family Center (LCFC) to inquire about their infant program we also needed services that could care for an infant with special needs. Coupled with trying to secure a day care spot for our daughter, Ella, we were also concerned about feeling comfortable leaving her in the hands of others for the first time. Much to our relief, we were invited to visit the LCFC and talk with the staff about Ella’s situation. When we arrived we were warmly welcomed and provided a tour of the day care with a special focus on the Infant Program. Watching Ella explore the room with uninhibited curiosity and the staff respond to her in such a caring and compassionate manner, we quickly became aware that LCFC was the best choice for our family. Many years later, Ella continues to grow and thrive at the LCFC with the on-going support and guidance from the staff. There are many staff members who have played an essential part in Ella’s healthy development. I cannot thank everyone enough at LCFC for helping our family through many growing pains as well as sharing their good sense of humor. As parents we continue to observe Ella to receive unconditional love and acceptance at a place that we all now consider a second home."